Diagram of the Eastern Ring Road from the First Review of the Town Map for Cambridge 1961. The red parts are proposed. In a city like Cambridge that sits astride a river the bridges are always key in getting around. In addition to the Chesterton Bridge Route (built as Elizabeth Way) the first post-war plan for Cambridge, the Cambridgeshire Development Plan (published March 1952), proposed to complete the eastern bypass route by crossing the river at Ditton Meadows and connecting Fendon Road to Cambridge Road. An eastern bypass around Cambridge was being built in stages before the Second World War with the intention that traffic on the A10 could avoid Cambridge (a much smaller place at the time). 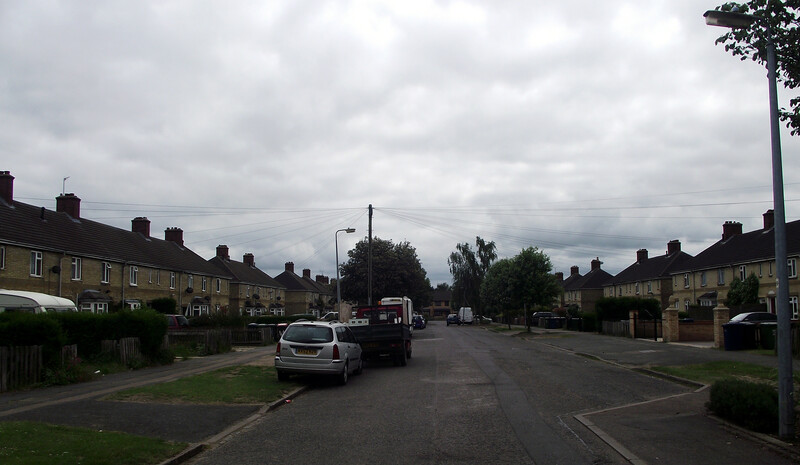 By the time the post-war plans were prepared the route was complete from Hills Road (near the current Addenbrooke’s site) as far as Coldhams Lane in the south and from Milton Road via Green End Road and Cam Causeway in the north. A glance at a modern day map shows that Cam Causeway stops abruptly but continue on the line with your eye and it matches up with the curve at Wadloes Road. 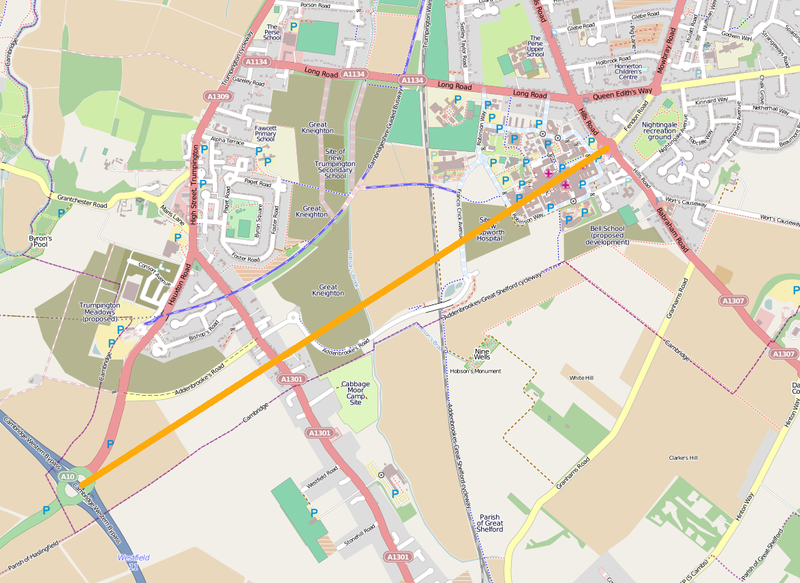 In the south Fendon Road would be connected to Cambridge Road (A10) north of Harston via a 2¼mi (3.6km) road with two railway crossings. The estimated cost in 1950 was £150,000, or about £4.5 million in 2013 allowing for inflation although today’s cost may be higher. It was recommended that the bypass was continued between Coldhams Lane and Newmarket Road (modern day Barnwell Road) however the portion across the river and in the south were not expected to be built before 1970. By the first review of the plan the southern part appears to have been dropped. With the M11 (in the west) opening in 1980, the A14 northern bypass in 1976/7 and A11 to the east Cambridge is now comprehensively bypassed and this route is not needed for long distance traffic. 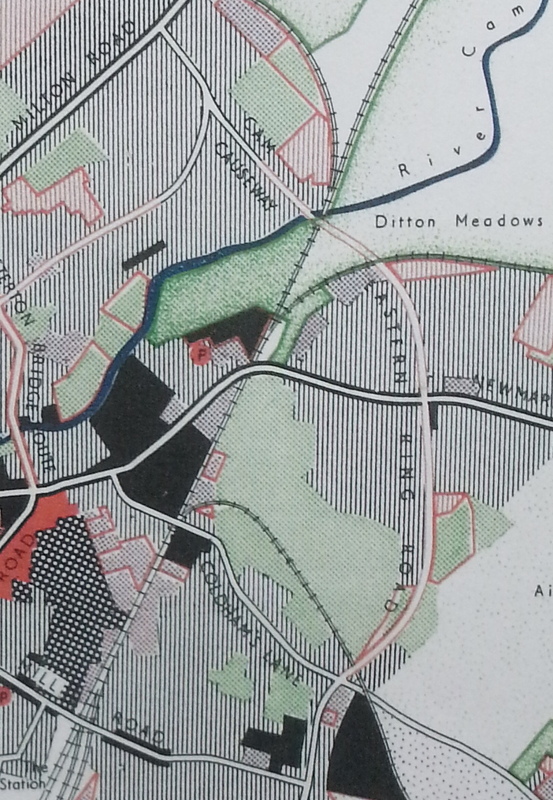 In my last post I detailed the damaging proposals for urban motorways from 1966 and this link would, not just to modern eyes, have had a substantial effect on Ditton Meadows. The road would have required “…a high embankment across Stourbridge Common and a new bridge carrying the road over the railway at a point near to where the existing railway bridge now crosses the river.” In 1950 two railway crossings were needed as the Cambridge to Mildenhall railway, that ran across the top of Ditton Meadows, was still open. The bridge over the railway would have been about 10m high, substantially larger than Elizabeth Way bridge. The cost was estimated at not less than £300,000 for nearly a mile of road, which is about £9 million in 2013 allowing for inflation although today’s costs may be higher. 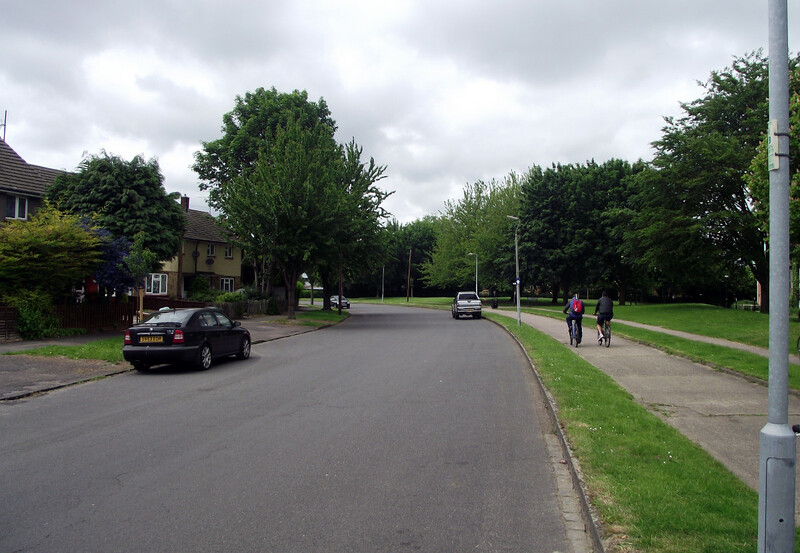 Modern day Wadloes Road has a long sweeping curve after leaving Newmarket Road and the Eastern Ring Road would have continued across Ditton Meadows at the sharp turn in the distance. Mashup of what the Eastern bypass may have looked like on Ditton Meadows viewed from the path from Wadloes Road. Cam Causeway looking south: the unusual width of this road, flanked by inter-war houses with a modern house at the end hints at the purpose behind its construction. Planners and Preservations, The Cambridge Preservation Society and the City’s Green Belt 1928–85. Anthony J Cooper, Cambridge Preservation Society, 2000. Cambridge Planning Proposals, A Report to the Town and Country Planning Committee of the Cambridgeshire County Council. William Holford, H. Myles Wright. Cambridge University Press 1950. Also known as the Holford Report. The First Review of the Town Map for Cambridge. County Planning Department, County of Cambridge 1961. 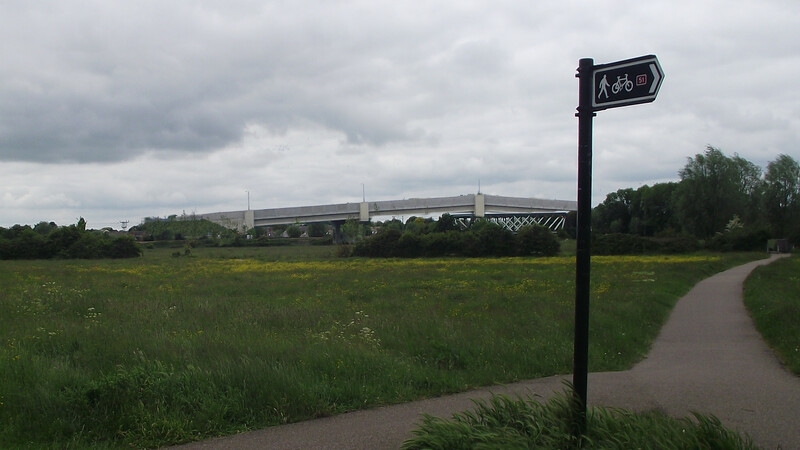 This entry was posted in Bridges, History, Planning, Roads and tagged Cambridge, Cambridgeshire Development Plan, Ditton Meadows, Stourbridge Common by rich257. Bookmark the permalink.